Whether you climb the highest peaks or are inspired by those who do, MARQ™ Expedition compels you to push further. 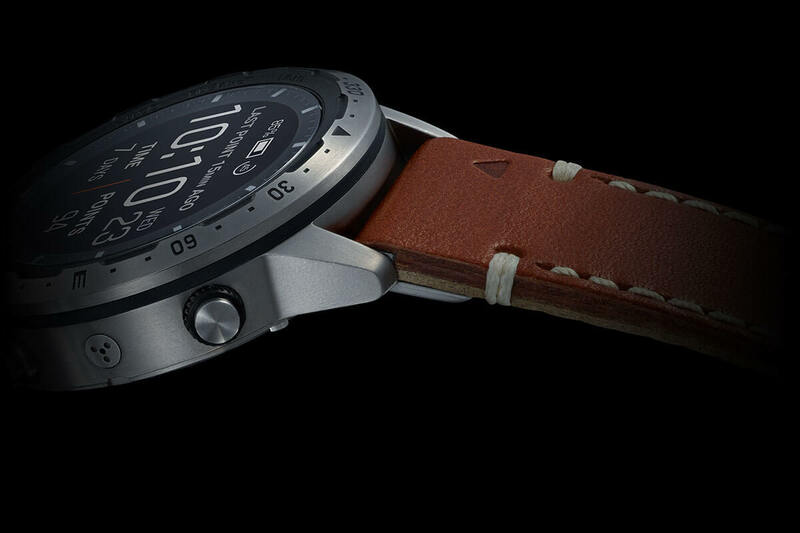 No other luxury modern tool watch puts smart features, topographic maps and real-time ascent data right at the wrist. Should adventure take you to higher altitudes, a Pulse Ox sensor1 monitors your blood oxygen saturation levels. 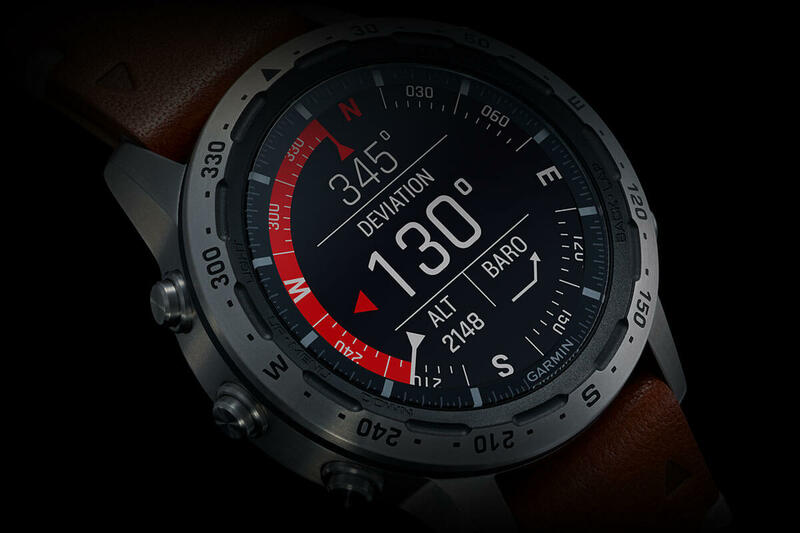 Stay true to your path with built-in ABC navigation sensors and an etched 360-degree compass bezel. An Italian vacchetta leather strap ages beautifully to elevate your style, while its articulated design ensures an exceptional fit as you go to extremes. The finer details, such as the wide-gauge signature “X” stitch, impart character and unparalleled durability. So you can stand on top of the world with an extraordinary instrument, crafted to explore it. 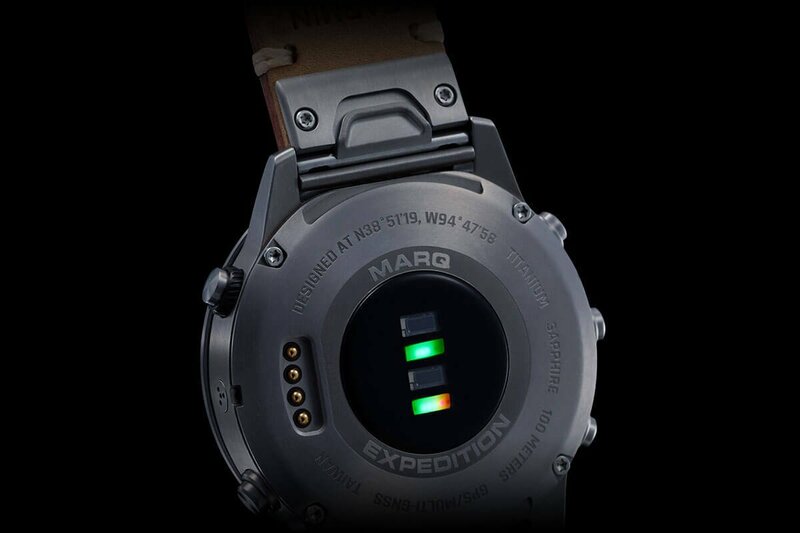 The inspired watch face of MARQ Expedition presents a new approach to adventure. An altimeter scale depicts the summits achieved and the valleys crossed, while a barometer with trend line warns of coming weather that stands in the way. This unparalleled display announces the desire to overcome any obstacle and confidently shows that any objective is within reach. Wherever adventure leads, you’ll find yourself along the way. The expedition app saves battery power to provide navigation that extends your travels into the backcountry by weeks. The orienteering feature pays tribute to the heritage of navigation with an easy-to-access compass with a map for route-finding. And topographical maps with popularity routing help you discover new places to explore. You’ll travel farther and more confidently — so you can see what’s beyond the next rise. The vintage-inspired brushed titanium case and 46 mm raw titanium bezel with etched compass markings reflect the enduring quest for new horizons. Chosen for its classic look and then debossed to provide miles of comfort, the Italian vacchetta strap shows the world just how far you’ve come. All-day stress monitoring2. Emails, texts and alerts3. Music storage and streaming services such as Spotify®4. 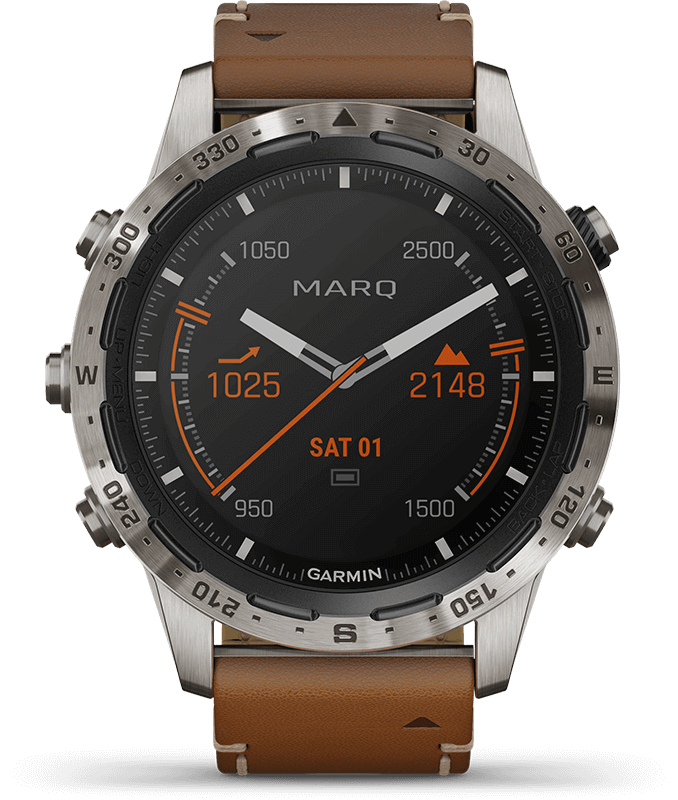 MARQ Expedition is even equipped with Garmin Pay™ contactless payments5 so you can make purchases by simply waving your wrist. It is yet another opportunity to show your passion for adventure — while enjoying the modern conveniences of the latest connected features.